Writer-director J.C. Chandor has only made three features, but there’s no mistaking his vision. This trio of confident dramas explore the plights of men pitted against invisible foes: In the recession-era “Margin Call,” the threat was the economy; in the wordless survival-at-sea opus “All is Lost,” Robert Redford faced off with nature; now, with his assured study of crime and business ethics “A Most Violent Year,” Oscar Isaac plays a conflicted antihero at odds with his own moral code. While it lacks the same ambition of his other movies, its elegant setting and thematic consistency confirm Chandor’s place as one of the most promising American directors to emerge this decade. While the new movie lacks the conceptual ingenuity of the near-experimental “All is Lost” or “Margin Call” (which took place over the course of one frantic night), it resembles their clean, focused narratives. In each case, a deceptively simple problem reveals layers of sophistication that interrogate the American dream. As Abel Morales, the immigrant overlord of a successful heating-oil business in Long Island City circa 1981, Isaac faces a metaphorical storm much as Redford confronted a real one in “All is Lost.” Shot with remarkable dexterity by expert cinematographer Bradford Young, “A Most Violent Year” unfolds against snowy landscapes, crowded freeways, and cavernous suburban mansions. Chandor compensates for the movie’s fairly routine circumstances by imbuing them with rich atmosphere at every turn. With his wife Anna (a hardy Jessica Chastain), Abel capably sustains his company but can’t celebrate its rewards. A Colombian-born businessman developing a business he inherited from his late father-in-law, Abel faces a series of setbacks as his delivery trucks are continually hijacked by unknown competitors, who drain their fuel and leave them by the side of the road. Meanwhile, the city’s cunning district attorney (David Oyelowo) launches an investigation into the company’s finances, making it difficult for the businessman to seek protection from the law. Does Abel deserve better? Chandor’s sharp screenplay leaves us in a state of uncertainty, even as it turns Abel into a figure of sympathy. Battling to single out the culprit striking out against his business while dodging the law himself, Abel epitomizes the desperation at the root of Chandor’s bleak milieu. While 1981 marked one of the worst periods of violence in New York’s history, Chandor uses the setting primarily as a backdrop to enhance Abel’s fragile, contradictory state: He’s both self-assured and terrified of losing everything. It’s only when he’s willing to dive into the darker side of the business that he can get to the root of his problem, even as he faces the possibility of destroying everything he’s built. Isaac’s screen presence — both nervous and sleepy-eyed — so memorable in last year’s “Inside Llewyn Davis,” finds another ideal outlet with this enigmatic role. Chandor’s script follows suit, gradually revealing small details that shape our perception of Abel’s obligations to himself and others. In a tense opening scene, he buys a new lot for his trucks with his trusty lawyer (a gruff Albert Brooks) by his side. After grappling with a hijacked truck and its injured driver moments later, Abel’s situation takes on a claustrophobic dimension not unlike the office constraints of “Margin Call.” With remarkable economy, Chandor presents Abel as both victim and perpetrator of capitalist desire, and the movie proceeds to investigate the nature of that balance. Slowly, we learn his family history — having inherited the business from Anna’s father, a top-level New York criminal, Abel lives in the shadow of a seedy legacy that prevents him from taking full pride in his work. Conversely, company bookkeeper Anna wears her father’s achievements with a questionable amount of pride, throwing shade at the district attorney as though embodying her father’s above-the-law confidence to compensate for her husband’s resistance. The tension between the couple builds, owing much to the fierce investment of two actors at the top of their games. Though Chastain’s secondary role occasionally suffers from a shrill quality at odds with Isaac’s subdued approach, it still manages to gel with the story’s considered tone. There’s traces of Sidney Lumet’s mature New York dramas in the story’s icy morality play, though Abel’s staunch commitment to his profession despite its personal toll echoes Arthur Miller’s Willy Loman. Like “Death of a Salesman,” “A Most Violent Year” portrays a passionate man trapped between personal and professional obligations. In one key scene, he helps injured truck driver Julian (Elyes Gabel) home from hospital, but refuses to promote him when asked. Still, “A Most Violent Year” isn’t all talk. Chandor complements the verbal showdowns with a pair of thrilling chase sequences — one of which includes a sensational combination of speeding cars sprinting across train tracks and a crowded subway. The movie’s also effective at hinting at various ominous possibilities, including a late-night stalker meant to intimidate Abel and a discursive roadside encounter with a deer. 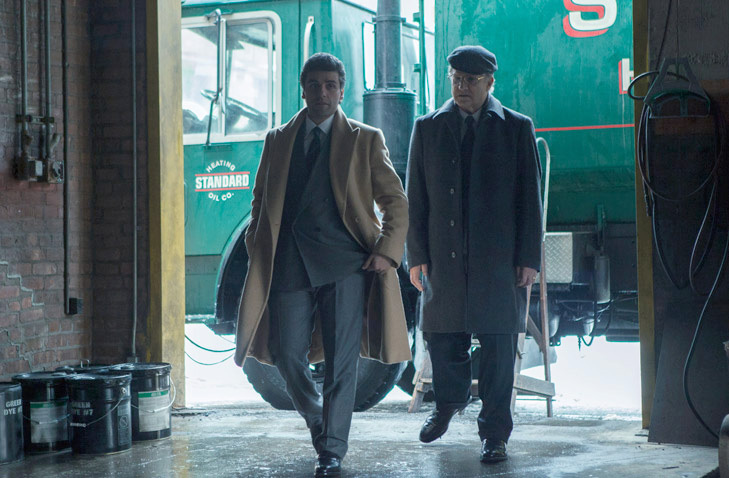 When it’s not a domestic or workplace saga, “A Most Violent Year” teeters on the edge of becoming an action movie. Chandor’s screenplay dovetails into an engrossing final act once Abel confronts his chief competitor (Alessandro Nivola) and essentially becomes a one-man army after the law fails to do the trick. Unfortunately, the movie stumbles when it hits a few too many melodramatic high notes and arrives at a too-neat conclusion. Chandor’s reliance on understatement makes the melodramatic high notes stand out. A wonderfully ambiguous final shot strikes noticeable contrast to the set of events immediately preceding it. The filmmaker is ultimately better at constructing nuanced environments and troubled figures than making every piece of the equation gel as a whole. But that’s a minor issue in the overall tapestry of Chandor’s carefully designed world. 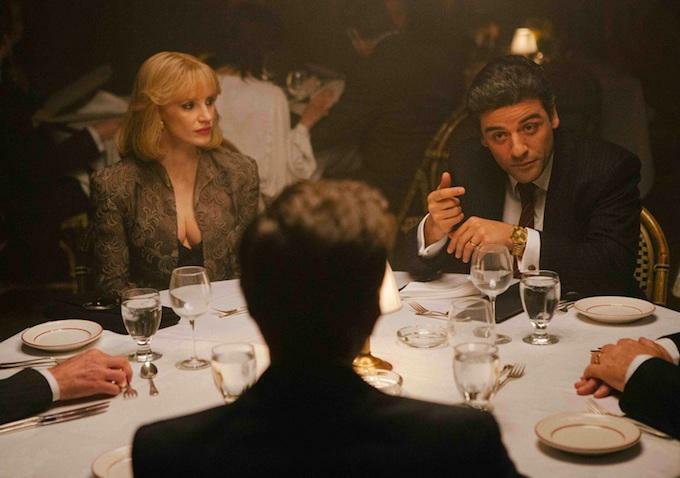 A sharp investigation into the dangers of greed, “A Most Violent Year” maintains the poise of a classy studio drama that could have been made at the time when it takes place. Nevertheless, the early eighties setting hardly determines its appeal. The nature of Abel’s struggle can only lead to more problems. In its sober assessment of entrepreneurial drive, the movie’s underlying critique is timeless. “A Most Violent Year” opened AFI Fest this week. It opens in New York and Los Angeles on December 31 and expands nationally in January.